Professional hand lettering services, custom designed invitations, seating scrolls, envelopes addressed. 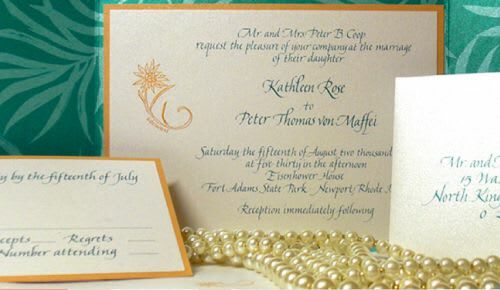 Packaged pricing for non-custom invitations when purchased with calligraphy services. Over 25 years of experience, samples available.